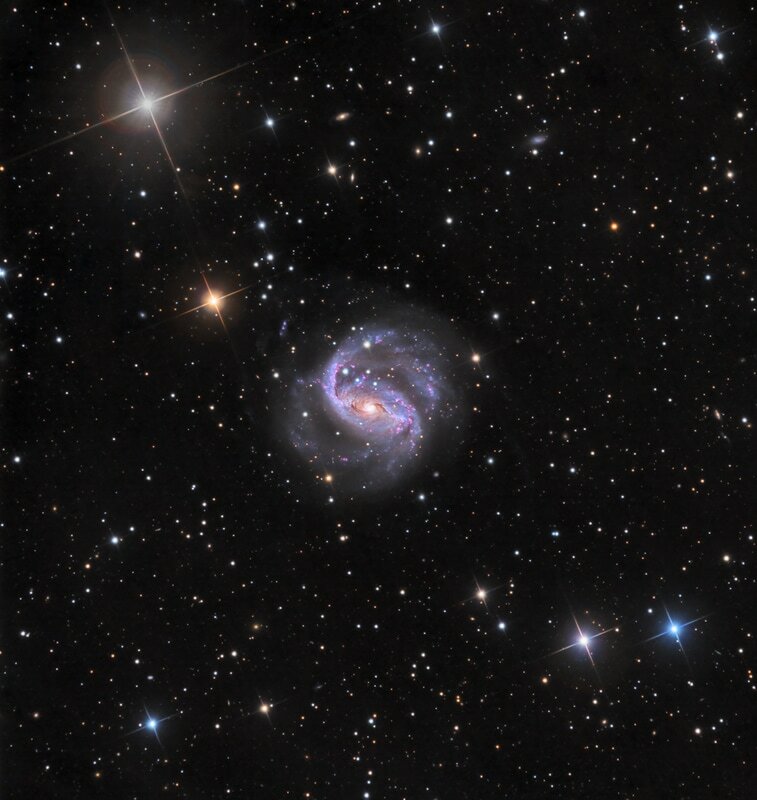 is a barred spiral galaxy located in the constellation Dorado. Originally thought to be a member of the Dorado Group, this membership was later rejected. NGC 1672 has very strong radio emissions emanating from its nucleus, central bar, and the inner portion of the spiral arms. The nucleus is a Seyfert Type-2 starburst region. The center of the galaxy contain four filament-like spiral arms extending outward from the ends of the central bar. The spiral arms are asymmetric; one of the arms in the northeast part of the disk being significantly brighter than its counterpart on the other side. The spiral arms also contain numerous star forming, pink HII knots. This data was acquired in 2016-7 by SSRO.